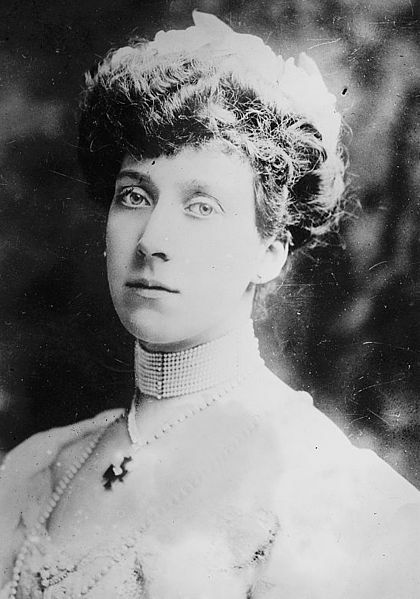 For Princess Marie Louise, what seemed to be a seemingly fairy tale wedding ending in a nightmare. Indeed, hers was no better luck than her sister’s. Early in her life, Marie Louise never lacked suitors and the prospects of her becoming queen of a foreign land were most likely. Fair, slim and graceful, Marie Louise was gifted with sparkling blue eyes. She had already caught the unwelcome attention of Crown Prince Ferdinand of Romania, but in 1889, while Marie Louise went to Berlin to attend the wedding of her cousin, Princess Victoria of Prussia, she fell head over heels to the tall and handsome Prince Aribert of Anhalt. Bored by the endless torch dance, and thrilled by Aribert’s attention, Marie Louise became infatuated with the dashing German prince. Born in 1866, Prince Aribert was the fourth son of Frederick I, Duke of Anhalt and Princess Antoinette of Saxe Altenburg. Though Queen Victoria was dubious at the speed of the romance, Marie Louise’s parents approved of the match. Their engagement was announced on ‘a very cold snowy day’ in December 1890 at the Kaiser’s palace in Potsdam. From there, they spent three hours on the road to Anhalt, where a nervous Marie Louise was to officially introduced to Aribert’s family.